Every now and then, I feel compelled to pen a blog of a more personal nature to my reading audience. As a privileged voice of Spinnaker Resorts and Southwind Management serving in the capacity of Online Community Coordinator, I have the opportunity to dialogue with both employees as well as you, our owners and guests. This provides a wealth of insight into both sides of the coin – the behind the scenes interworking of a growing enterprise and the yearnings and experiences that you have vacationing with us. Be it Hilton Head Island, SC, Ormond Beach, FL or Branson, MO! We have an owner base that is vastly diverse spanning more than one continent and an ethnic makeup that also keeps growing in variegation. Thanksgiving 2015 is two weeks away. It’s a great opportunity to reflect on all the positives. It originated as a way to give thanks and bless the harvest bestowed by the earth and man’s hard work toiling the land and crop. Thanksgiving is a holiday best spent with close family, extended family, dear friends, new friends, local community or giving back at a soup-kitchen to those less fortunate. I’ve experienced most of the above for past Thanksgiving holidays. I’ve spent it hands clasped, heads bowed in reverent thanks with all of my immediate family and I’ve spent it with my then five year-old son with fellow domestic violence shelter habitants dining on donated turkey and side dishes. So what am I thankful for as the social media arm of Spinnaker Resorts headquarters and Southwind Management? I am grateful for you. Without you, the owner and the guest that chooses to vacation with us – I wouldn’t be penning you this gratitude blog, now would I? We have an owner base of over 40,000 owners at our three locations of Hilton Head Island, SC; Branson, MO and Ormond Beach, FL. We have 11 different properties and multiple types of ownership with us. Two properties are still being expanded with building additions and continual remodeling projects as needed. Our employee numbers are ever expanding, now approximately 550 men and women in four states. With these figures comes a great responsibility by the company to those we serve. I am blessed beyond measure to call Hilton Head Island my native home. I live over the mainland in Bluffton, South Carolina but this provides me the added pleasure of daily crossing the J. Wilton Graves bridge from the mainland to the island which overlooks the Intercoastal Waterway. If I roll the windows down, I can smell the salt in the air. The lush green marshlands and palmetto trees, osprey nests in the power line pylons, the winding tidal pathways weaving through the wetlands and boats making their way through the waterways still take my breath away no matter the amount of years that I’ve spent crossing this bridge. 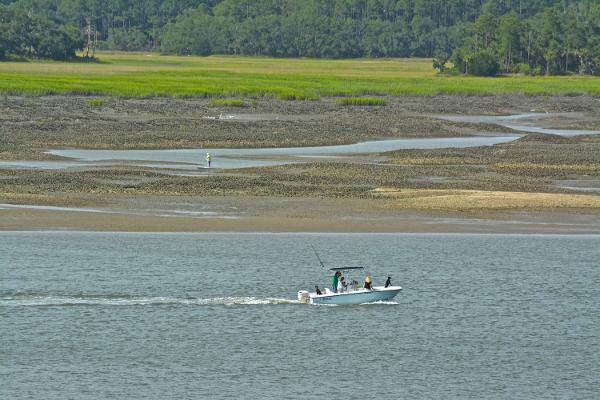 The cultural history and Lowcountry lure of the area are bar none. Gratitude for the harvest – yes, I have that too. I can reference the farmers and locals who peddle their goods at the farmers markets on Hilton Head Island and Bluffton. I can also highlight the vast assortment of grocery stores in the area (so glad we have a Whole Foods now!) and the dizzying amount of amazing restaurants for those days or evenings that I have no inclination whatsoever to cook! And to be thorough in my gratitude for the harvest, I am so very thankful to be able to put food on the table for myself and my son. God provides! So as Thanksgiving is almost upon us again this year, let’s all take a moment to express gratitude. It’s up to you what you choose to hone in on, but we all have something – at least one thing we can give thanks for! Even in the darker days and years, there is something. That reframing of thought from the negative and worrisome to that maybe seemingly insignificant positive aspect in our lives is a start to a happier tomorrow! Try it! Drop me a line and let me know what you are thankful for this year.